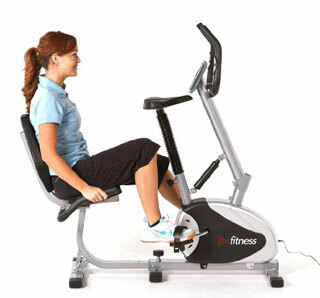 What benefits have buyers experienced when using this JTX Cyclo-2 Combo Exercise Bike ? The fact that there is the option of using the bike in either a recumbent or upright position really is the biggest advantage, according to user reviews at least. Not only does this cater to different user preferences, therefore giving the product extra appeal for different members of the household, the switch from upright to recumbent can have a positive impact on comfort and exercise. The product description talks about the benefits of this secondary seating option for buyers that are recovering from injuries, which is definitely supported in the reviews of those that are struggling with joint problems and who appreciate this extra support, but it also mentions the way that it helps users tackle a completely different muscle group – a factor that is again highlighted by users. Whichever way that the JTX Cyclo-2 Combo Upright and Recumbent Bike is used, it seems that it can offer a fairly smooth and reliable performance and there is also praise for the fact that it was so easy to put together – partly due to the included tools – and the lack of noise. Buyers are happily using this machine in front of the television on a nightly basis; however, there are some users that are not quite so happy to sit back and have a leisurely ride. 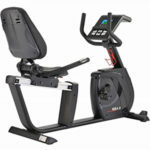 Why are some buyers more critical of this JTX Cyclo-2 Combo Exercise Bike? There is a clear lack of negative comments about this JTX recumbent bike but there is also a lack of reviews written further down the line that can offer any sort of insight into the longevity and full potential of the product. There is a mixed response on whether or not durability is likely; some feel secure on the bike and see no construction problems but others have noted the plastic cover coming loose and some squeaking, which doesn’t fill them with confidence. Other complaints that have been made are that the seat height cannot be adjusted and that there are occasional irregularities in the resistance levels. Summary: is this JTX Cyclo-2 Combo a great exercise bike for your home? In the end it is hard to give this bike a full 5-star recommendation as an ideal aid for home fitness because of these questions over its life span and adjustability. It does, however, come very close because of the number of advantages that have been expressed in these early consumer reviews. 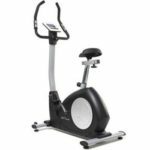 If you are looking for an exercise bike that is quiet enough for use in the living room, has a variety of options in both its set-up and work out programs and is generally user-friendly, the JTX exercise bike could be a great purchase.